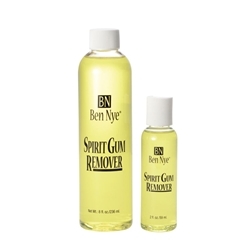 Quickly dissolve the sticky residue left by spirit gum adhesive with this effective remover. 3 - 15 applications per ounce. Available in 1 oz., 2 oz., 4 oz., or 8oz..